SAN MARCOS, Calif. — A mountain lion sighting near California State University San Marcos over the weekend has some students on edge. The sighting was reported just after 1 p.m. last Saturday when a man said he saw the animal on a trail behind campus. One Dollar. One Paper. One Day. Tomorrow, Tuesday, October 19th, the San Elijo Hills chapter of Kids Korps will be participating in the annual Kid’s News Day by selling a special edition of the Union Tribune. Look for Kids Korps kids in their red shirts in front of San Elijo Elementary, Alberston’s and the PepperTree Hills Cafe from 7:30-8:30 am. All proceeds go directly to Rady Children’s Hospital-San Diego. Buy a paper and help a child for life. For more information go to www.kidsnewsday.com. The San Marcos Community Foundation is accepting grant requests now through November 3 for monies from the newly established “Wildlife Fund.” There is currently $9,000 available for grant making from that fund. Grants can be made to any non-profit organization serving San Marcos for projects to help with wildlife education or preservation. The special fund was established in March 2010 following a surge of interest in “Molly the Owl,” a barn owl that nested in the San Marcos backyard of Carlos and Donna Royal. Molly subsequently had several owlets hatch on a live Web stream set up by the Royals. More than a million viewers from around the world have watched the coverage. Following the coverage, the Royals began receiving several donations, which they generously diverted to the San Marcos Community Foundation. The foundation established the Wildlife Fund in order to ensure that the monies generated in response to Molly the Owl would go back into wildlife preservation and education in San Marcos. About the San Marcos Community Foundation: Since awarding its first set of grants in 1988, the Foundation has provided more than $918,000 to non-profit organizations serving San Marcos. The Foundation acts as a non-profit public benefits corporation to provide financial and other assistance to programs that benefit the City of San Marcos. Such programs include senior programs, children and youth sports, drug and alcohol abuse prevention, day care for pre-school and latch-key children and support for cultural events or institutions within the City of San Marcos. The holidays are just around the corner, are you ready? NCIM Aesthetics offers a Holiday liquid face lift. Call us today and make your appointment for Botox, Juverderm and Radiesse. Botox for your frown lines- Juvederm for fuller lips – Radiesse to fill in those hollows under your eyes or the parantheses from your nose to your mouth. All injections are given by a physician. Get that youthful, refreshed look without surgery. SAN ELIJO HILLS (CBS 8) – In the morning fog, the community of San Elijo Hills raises out of the mist like a mirage. “People are still confused as to where San Elijo Hills is,” resident Owen said. Owen runs Dexter’s Deli in the heart of the quaint town square where pampered pooches mack on beef tracheas and custom-designed layer cakes. “People still call us every day wondering where the heck we are located. They can’t find us, their GPS is sending them to dead ends,” Owen said. “Pretty close to Carlsbad, right on the edge of San Marcos,” a resident said. People who have found it tend to love its folksy feel. “It’s very sweet. It’s a very cute town,” a resident said. – We can seat 64 people so make your reservation right away. This event is open to everyone so bring someone you know will enjoy the experience. – Includes shopping at a Bazaar to sell goods made by some of the women who were helped by WE here in San Diego. There will be jewelry, scarves, and African artifacts. There will also be Fresh Produce Sales from the organic garden run by International Rescue Committee in University Heights. – Participation is limited to 64 so make your reservation soon! Contact: Martha Kaloogian at 760-736-4044 or email at sehwc@yahoo.com . The San Marcos City Council adopted positions on two California ballot initiatives at their Sept. 14 meeting. The propositions will appear on the November 2 ballot. Council members voted unanimously to oppose Proposition 19, the “Regulate, Control and Tax Cannabis Act of 2010” and to support Proposition 22, the “Local Taxpayer, Public Safety and Transportation Protection Act of 2010”. In opposing Proposition 19, the City Council joined a broad coalition of law enforcement and community organizations throughout California including the California Police Chiefs Association, the California Narcotics Officers Association, International Faith Based Coalition, Mothers Against Drunk Driving, California Chamber of Commerce, San Diego County Sheriff Bill Gore, and the California District Attorneys Association. Opponents of Proposition 19 argue that the proposal could put residents’ public safety at risk by allowing Californians to possess, use and grow marijuana without limits on how much an individual could grow or proper enforcement mechanisms for evaluating impairment. The City Council cited quality of life and public safety as their top reasons for opposition. If approved, Proposition 22 would amend the California Constitution to prevent the state from taking local revenue away from cities to balance its budget. This measure builds on Proposition 1A which limited state takes of local revenue streams and was approved in November 2004 by nearly 84% of California voters. The City Council believes that passage of Proposition 22 would provide the City with improved certainty in budgeting and planning public infrastructure and improvement projects. Council believes that passage of Proposition 22 would protect the City’s ability to achieve its goals for the Creek District and other planned infrastructure improvements. Proposition 22 is supported by a broad statewide coalition that includes the California Fire Chiefs Association, California Police Chiefs Association, San Diego County Fire Chiefs’ Association, League of California Cities, California Special Districts Association, California Contract Cities Association, San Diego County Taxpayers Association, San Diego Tax Fighters, California Chamber of Commerce, and dozens of cities and counties. The San Marcos Fire Department will host an open house for the public on Saturday, Oct. 9 from 10 am to 2 pm at Fire Station No. 1, 180 W. Mission Road. The open house is an annual event held in conjunction with Fire Prevention Week, which is Oct. 3 to 9. This free event will give the community an opportunity to visit a local fire station and talk with firefighters to learn more about the San Marcos Fire Department and fire safety. Terraza at San Elijo Hills is celebrating the bounty of the season with a Fall Harvest Event, Saturday, Oct. 16, from noon to 3 p.m. at the Terraza models and sales center, located near the intersection of Wild Canyon Road and San Elijo Road in San Marcos, at 1100 Festival Road. The event will be free and open to the public. Festivities will include delicious food, a colorful pumpkin patch with take-home pumpkins for the kids, live music and activities for the whole family. Crafts include mask making, pumpkin decorating, pinecone art, and face painting. “Parents are encouraged to bring their children in Halloween costumes and their cameras to capture the festive happenings,” said Halé Richardson, director of marketing for San Elijo Hills, which is co-sponsoring the fall harvest event. In keeping with the harvest theme, food and refreshments will include a hot dog and bratwurst station with all the fixings, salad bar, a harvest fruit table, an ice cream sundae bar, and other dessert snacks. Visitors will also get the opportunity to examine the beautiful models at Terraza, Lennar’s first all-solar community in San Diego County. 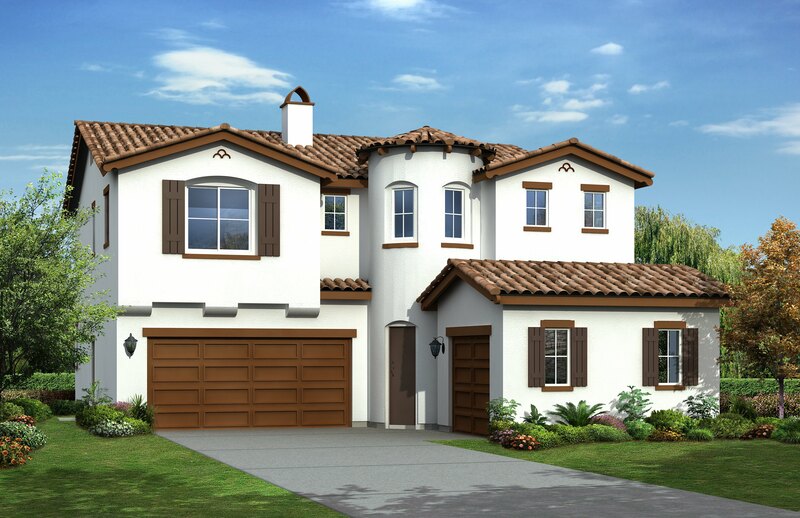 Terraza features three two-story floor plans ranging from 2,182 to 2,721 square feet and an extensive package of energy-saving features, including a SunPower® solar system. Homes are priced from the mid $500,000s. The San Elijo Hills master-planned community features a town square with a clock tower and other elements typical of Americana. The area’s retail portion is still developing. The neighborhood was designed to be walkable, with 19 miles of trails. SAN MARCOS — Head south past Cal State San Marcos, over the hill as Twin Oaks Valley Road becomes San Elijo Road, and you will land in a place many have come to call their own little slice of Americana. Nearly 10 years after residents started moving into San Elijo Hills, the sense of community is strong, residents say, and the neighborhood is taking shape. Every element of the master-planned community in southwest San Marcos — from the purposeful placement of liquidambar trees whose leaves change colors in the fall to the divided road around the town square — is designed to evoke the quaint feel of an early 1900s small town. San Marcos City Councilman Chris Orlando and his wife moved to San Elijo Hills in 2002. The road to a modern-day Mayberry has had its bumps. The largest residential project in the city’s history inspired a ridgeline protection ordinance approved by the City Council in 2006 after extensive grading for the development drew wide protests. Voters followed up with stricter protection in 2008. Some residents have expressed frustration over the years with the slow pace of business development in the Towncenter, the community’s retail core. • Developer: Project is managed by HomeFed Corp., a publicly traded company, for the San Elijo Hills Development Co.
• Schools: San Elijo Elementary and San Elijo Middle; students go on to San Marcos High; Cal State San Marcos is less than five miles away. And San Elijo Hills’ idyllic environs couldn’t escape the real estate meltdown. One example: D.R. Horton in 2005 paid $36 million for a site at Wild Canyon and San Elijo roads only to sell it back to San Elijo Hills Development Co. for $6 million three years later. It’s now in escrow, said Halé Richardson, spokeswoman for San Elijo Hills.